CLOSEOUTS. 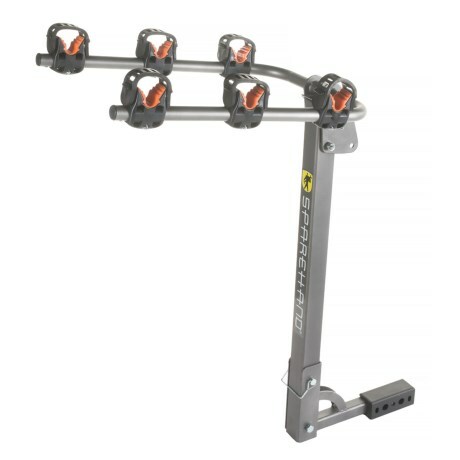 SpareHand Systemsand#39; 3-bike hitch mount rack transports up to three bicycles with a weight limit of 105 pounds and mounts on any car with a 1.25and" or 2and" hitch receiver for easy installation. Available Colors: SEE PHOTO.